It’s a bad look for anyone. A Florida middle school teacher has reportedly resigned after it was revealed that she hosted a white supremacist podcast. Dayanna Volitich was removed from her classroom at Crystal River Middle School last month while district officials investigated after HuffPost reported she was behind the podcast “Unapologetic,” as well as a Twitter account full of racist and anti-Semitic posts. Mike Mullen, the Citrus County School District assistant superintendent, said in a statement emailed to CNN on Monday that Volitich had submitted a letter of resignation. Oh, word? More on this in a bit. 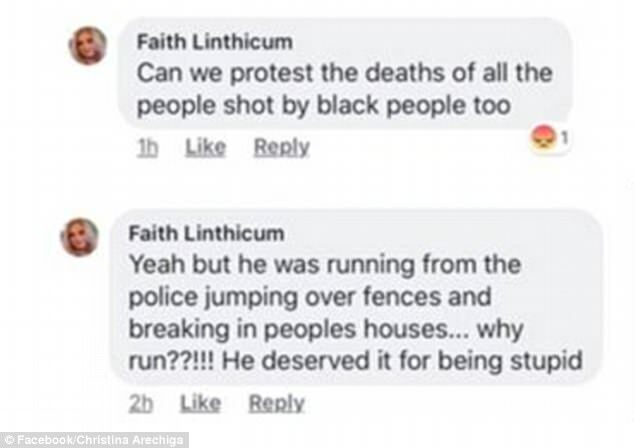 A Sacramento hospital fired a nurse after she wrote on Facebook that Stephon Clark, the unarmed black man who was shot dead by police in Sacramento ‘deserved it’. The Daily Mail article includes a link to Ms. Linthicum’s post. Did these women deserve to lose their jobs? What if the employers had offered second chances? The nurse returns to work. While on her shift, an African-American patient in her care dies. The patient’s family claims that the nurse deliberately withheld life-saving aid because she discriminates against people of color. The hospital defends claiming that the nurse did nothing wrong. The case goes to trial. Exhibit “A” is the Facebook post. The teacher returns to work. Unable to maintain the boundaries between her professional and personal worlds, she makes a series of anti-semitic comments to Jewish co-workers. They complain to the school district and, eventually, the EEOC that the teacher created a hostile work environment. The co-workers claim that the school didn’t take reasonable steps to prevent the teacher’s bad behavior even though it was on notice. The school administrators collectively facepalm. These are two realistic scenarios of what can happen if an employer ignores or otherwise condones an employee’s unprotected* off-the-clock speech on social media. And what happens if, as in the teacher’s case, the employee claims that online speech is satirical? Maybe it was just a joke. But, since when does intent matter? Instead, the litmus test involves an examination of whether the actor’s behavior offends the victim — even if that’s an unintended consequence. Besides, as an employer, how much of your brand and goodwill are you willing to risk on an employee who jokes about anti-semitism and racism? We know the answer to that question.